Comfort, smiles, attentiveness and a warm welcome: all part of a stay at the Mercure Nancy Centre Place Stanislas hotel. Fancy a getaway? Nothing could be simpler, visit the Place Stanislas whose finery changes with the seasons. See you very soon! Close to shops and restaurants, the 4-star Mercure Nancy Centre Place Stanislas hotel welcomes you just a stone's throw from the famous Place Stanislas, a UNESCO world heritage site. Enjoy elegant decorated rooms that take as their theme glass and Art Nou veau, and make the most of this ideal location by savoring the gastronomic specialties of the Lorraine region. Business meetings are made easier by the hotel's prime location, close to the conference center. A short walk from the Place Stanislas, the Beaux-Arts museum and the Jardinière, this Mercure hotel is ideal for exploring this 18th-century masterpiece. 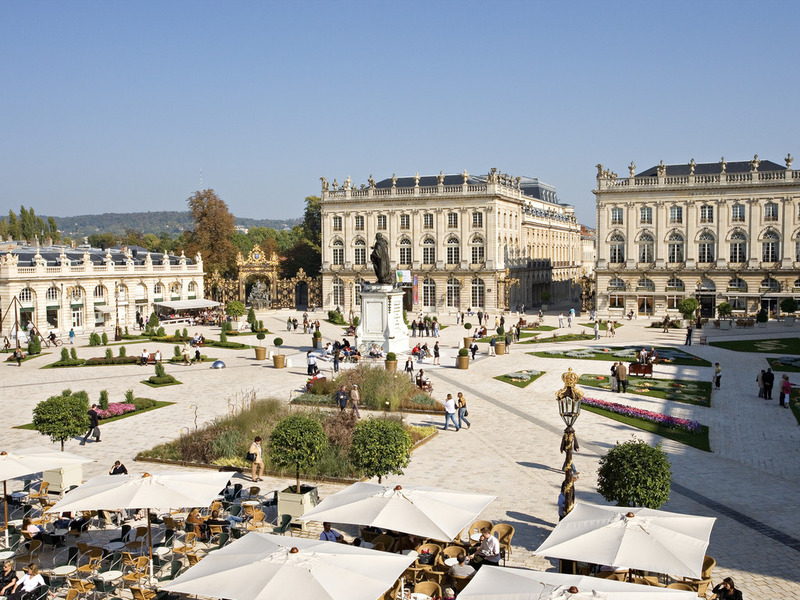 Lovers of design will appreciate the Art Nouveau residences and the Musée de l'Ecole in Nancy. Choose the Standard Room or Privilege Room offering a wider range of services. The Neptune Bar is the place to try Lorraine specialties with a glass of Grand Vin Mercure fine wine. Also, take advantage of the 24-hour pasta service served in the bar on weekends and in your room during the week.